The houses in Stonington, Maine continue to be an inspiration. Snow melts and blows away quickly this close to the ocean so I haven’t managed to get out painting on a day with both sun and white stuff, but that’s the next project. 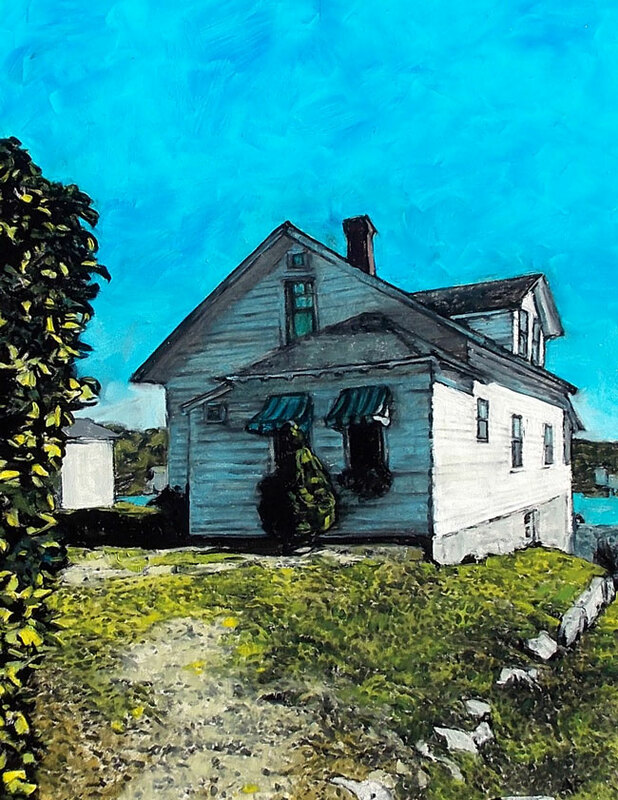 Meanwhile, a small painting (16 x 12) of a house with blue awnings on the west side. This entry was posted in art, landscape, Maine, painting, Stonington, Travel, urban landscape and tagged architectural landscape, painting, winter on January 23, 2016 by APo.